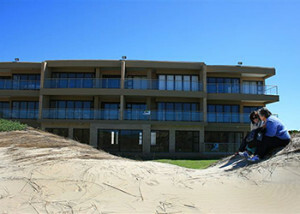 Shearwaters is located in a security complex in Aston Bay and can accommodate up to 8 people, just 500 m from the beach. The apartment is situated on the third floor and offers 3 bedrooms and 2 bathrooms. All the rooms are furnished with double beds, and a bunk bed is available in the living area. The 1 bathroom has a shower, while the other has a bath. The open-plan kitchen is equipped with a fridge, a microwave, a stove and oven, as well as tea and coffee facilities. For convenience, a washing machine is also available. 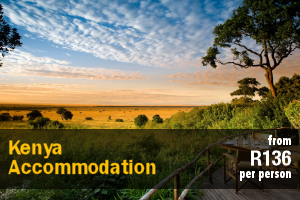 Guests can relax in the lounge which is equipped with a TV and a DVD player, and DStv is available with the use of the guest’s smart card and decoder, or it can be activated at an additional cost. The living area also has an indoor braai area. Safe parking is also available. The apartment is unfortunately not suitable for guests who struggle to walk or make use of a wheelchair. Jeffreys Bay offers various activities such as surfing, sand boarding, mountain biking and skydiving. 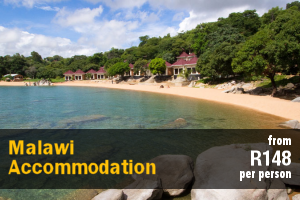 Attractions in the area include the African Dawn Wildlife Sanctuary, the Dolphin Beach Entertainment Centre, as well as various museums and restaurants. 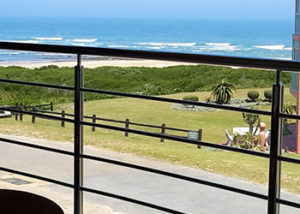 Shearwater Holiday Apartments are fully furnished, self-catering apartments ideally situated just 100m from the beautiful beach in Aston Bay, Jeffrey’s Bay. Each apartment can accommodate up to 6 guests and comprises 3 bedrooms, 2 bathrooms, and an open-plan kitchen and living area. The apartments have either a balcony or a patio with braai facilities. A DStv connection point is available, however, guests are required to bring their own decoder and smart card. 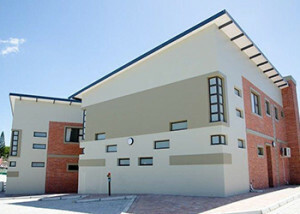 A lock-up garage for each unit, as well as open parking bays, are is available inside the complex. Please note that the complex is not pet-friendly. Shearwater Holiday Apartments is located within 3 km from Die Walskipper Restaurant, Seekoei River Nature Reserve and Paradise Beach. 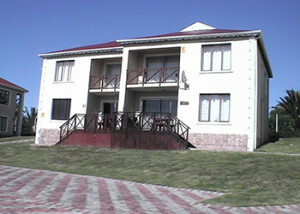 Potters Place, Jeffrey’s Bay Shell Museum, and Dolphin Beach are all situated a mere 4 km from the apartments. 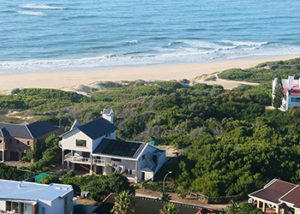 Ruthers Place is situated in Aston Bay, just 10 mins drive from Jeffreys Bay, which is surfer’s paradise. 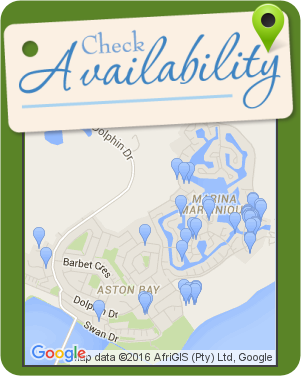 The establishment is ideally located only 10 mins away from the beach and lagoon of Aston Bay. There are 3 guest rooms on offer, two of the rooms have a double bed whilst the third room has a double bed and bunk bed for kids. All 3 rooms have en-suite bathrooms. Tea- and coffee-making facilities and rusks are provided in all the rooms. There are braai facilities available for those who might wish to sit outside and enjoy the Aston Bay evening air. There is a lovely coffee shop called Jennie’s Place in the small shopping centre nearby where you can have a lovely breakfast or enjoy their selection of cake with a spot of tea or coffee. Also available in this centre is a bottle store plus a small convenience store. There are 2 restaurants on the beach of Aston Bay with sand boarding and horse riding available on the beach for those more adventurous. 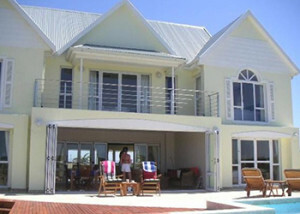 Michelle’s Self-catering Apartment is located on the owner’s property, situated in Aston Bay. 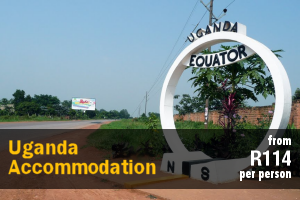 This unit is ideal for a couple looking for a comfortable stopover or long stay for 2 adults and 1 or 2 children close to the beach and other facilities. This unit is fully furnished has its own private entrance, consisting of 1 bedroom and 1 bathroom. The bedroom is equipped with a queen-size bed, and the open plan en-suite bathroom features with a shower, basin and toilet. This unit also has a kitchenette that contains a microwave, fridge-freezer, two plate stove as well as a kettle. Cutlery and crockery, pots and pans also provided. The dining room has a sleeper couch that is ideal for 2 children or 1 adult, and a TV for media entertainment. There is an indoor braai area to use as well. The apartment is spacious. 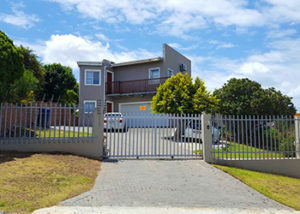 Entrance to your own private garden with outdoor braai facilities and there is secure parking available for 2 vehicles behind remote controlled gate under cover. The apartment is within a 10-minute walk from the beach, and various restaurants, Walskipper and Tapas is 1.5 km from the apartment. Aston Bay beach and the lagoon is also nearby and safe for bathing and swimming, canoeing, kitesurfing. 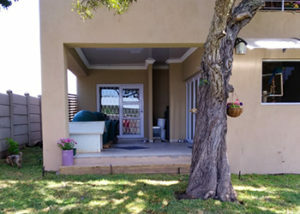 Huisie by die See is a charming self-catering home offering comfortable lodging in the suburb of Aston Bay in the seaside village of Jeffreys Bay. The house can accommodate up to 6 guests and comprises 3 bedrooms, 2 bathrooms, and an open-plan kitchen and living area. The main bedroom contains a double bed, and an en-suite bathroom fitted with a shower, a toilet and a washbasin. The second and third bedrooms each contain 2 single beds. The main bathroom is fitted with a bath, a toilet and a washbasin. The kitchen is fully equipped for self-catering and contains a stove, oven, fridge-freezer, microwave, and cutlery and crockery. There is also a dishwasher, washing machine and a tumble-dryer provided in the unit. The dining area has seating space for 6 people, while the lounge has a comfy lounge suite. There is also a separate TV room fitted with comfy seating and a TV with a DVD player. An enclosed patio features built-in braai facilities and comfortable patio furniture. Secure undercover parking is provided behind a gate. West End Guest House is situated in the quiet seaside village of Paradise Beach, just a short walk from the long stretch of white sand. 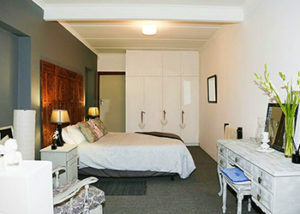 The guest house offers accommodation in 4 stylish rooms catering for families, couples and corporate or contract workers. 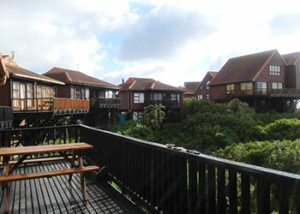 The rooms all have their own facilities and make use of the communal indoor and outdoor areas. 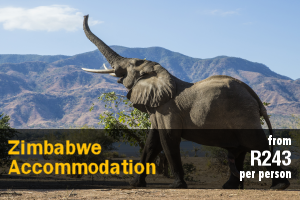 Each room has a private en-suite bathroom and is fitted with a LED flat-screen TV with DStv. Free Wi-Fi is available in the rooms and throughout the guest house. The rooms are serviced daily and an in-house laundry service is available to guests. The main communal areas include a well-equipped kitchen with tea- and coffee-making facilities, a dining area, and a lounge. Outside guest will find a swimming pool with sun loungers and views of Paradise Beach. 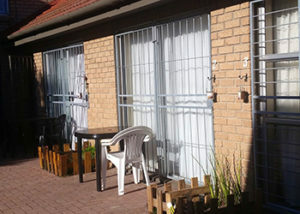 @ wood’s in Aston offers comfortable self-catering accommodation in a 1-bedroom apartment situated on a residential property shared with the owners. 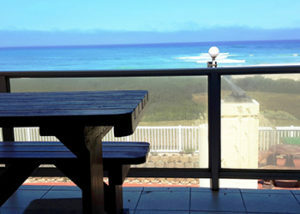 The apartment is located in the coastal resort town of Aston Bay in Jeffreys Bay, and is the ideal destination for a weekend getaway or a holiday break. The apartment has a separate private entrance and can accommodate 4 guests. The apartment comprises 1 bedroom with a double bed, an en-suite bathroom with a shower, and an open-plan kitchen, lounge and dining area. There is a double sleeper couch in the lounge. The kitchen is equipped with a fridge, a mini-oven and stove, a microwave, and a kettle and toaster. There is a 4-seater dining room table and chairs, and a lounge area. 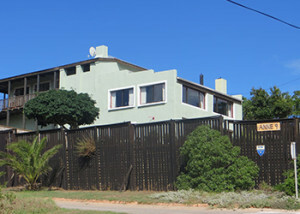 Guests have access to a separate braai area and off-street parking. The location offers access to the local supermarket, restaurants, the lagoon and the beach. Just a 5 minute drive will take you to Jeffreys Bay’s famous surf spots. Activities to enjoy in and around Aston Bay, include deep-sea, rock, surf and river fishing, swimming, surfing, wind-surfing, sand-boarding, sky-diving, bird-watching, cycling, hiking, and horse riding on the beach. 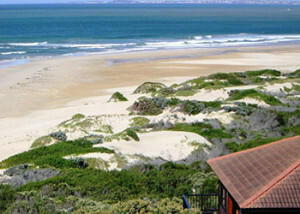 Pelikaan is a log cabin located in Houtbosch Bay, a small private nature reserve on the beach in Aston Bay, just outside Jeffreys Bay and a stone’s throw from the Marina Martinique. The house comprises 3 bedrooms and 2 bathrooms. The first bedroom contains a queen-size bed. The second bedroom contains 2 single beds. The third bedroom contains a queen-size bed. All bedding and bath towels are provided. Guests should bring with their own swimming towels. The open-plan living area is comfortably furnished and large glass doors open onto the balcony. The kitchen is fully equipped with stove, microwave and washing machine. The lounge has comfortable seating and a TV with full DStv channels. The living area leads out onto a large deck overlooking the vegetation of the reserve and the ocean where dolphins and whales can be viewed. 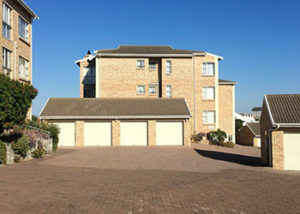 Underground parking and a third bedroom are located on the ground floor. 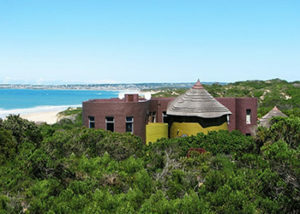 Wood stairs lead to the first floor and a large balcony with beautiful views of the reserve and the Indian Ocean. There is a portable braai available on the patio and a built-in braai in front of the house. There is parking available under the house. The beach is 120 m from the house and accessible via a boardwalk that winds through the reserve to the beach. The Astons 26 is a charming holiday apartment set in a secure, seafront complex in Aston Bay, a stunning suburb of Jeffreys Bay. This famous surfing destination is characterised by small-town attractions, pristine shell-lined beaches, and excellent surfing waves. This 3-bedroom apartment can accommodate 6 guests and offers stunning views of the sea from the balcony. The first 2 bedrooms are both furnished with a queen-size bed while the third bedroom contains a double bed. There is an en-suite bathroom in one of the bedrooms while the second bathroom is separate. The kitchen is well-equipped to meet guests self-catering needs while a TV and access to a private balcony are also available. Guests can enjoy a swim in the communal swimming pool in the complex. 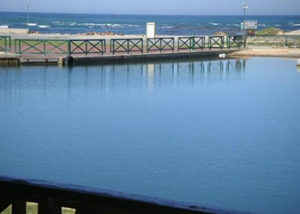 Jeffrey’s Bay offers an array of activities such as swimming, surfing, fishing, canoeing, golf, river cruises and quad bike trails. Aston Bay Beachside Apartment is a fully furnished self-catering apartment located in the secure Shearwaters complex in Aston Bay, approximately 100 m from the Aston Bay Beach. The apartment is ideal for a relaxing getaway. The apartment can accommodate up to 6 guests and comprises 3 bedrooms, 2 bathrooms, and an open-plan kitchen and living area. The first and second bedrooms each contain a double bed. The third bedroom contains a 3-quarter bed with a pull-out bed underneath. The first bathroom contains a shower, a basin and a toilet. The second bathroom contains a bath, a basin and a toilet. The kitchen is fully equipped for self-catering and includes a fridge with freezer, a stove and oven, microwave, kettle and toaster. There is also a separate laundry room with a washing machine. The comfy lounge contains a flat-screen TV. The living area opens through sliding doors to an enclosed patio with built-in braai facilities, outdoor furniture, and lovely views of the ocean. A secure single garage is provided. The secure complex has remote-control access. Take a stroll on the beach or swim in the lagoon, all you need to get away from the hustle of everyday life. The local tennis courts are within steps away from the apartment and are free to enjoy all year round. Come and enjoy a peaceful time in this neat and cosy apartment. Please note this is a First Floor apartment accessed by stairs, not a ground floor apartment. 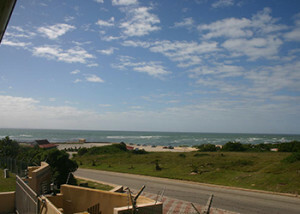 Sparrow Weg 7 is a ground-floor unit located on the owners’ property in Aston Bay, a stunning suburb of Jeffreys Bay. This famous surfing destination is characterised by small-town attractions, pristine shell-lined beaches, and excellent surfing waves. This 2-bedroom apartment can accommodate 4 guests at a time. The main bedroom contains a queen-size bed and the second bedroom has twin single beds. The bedrooms both have an en-suite bathroom fitted with a shower. The kitchen is well-equipped to include a fridge-freezer, stove, oven, microwave, dishwasher, and washing machine. Guests also have access to a TV and braai facilities. The Astons No. 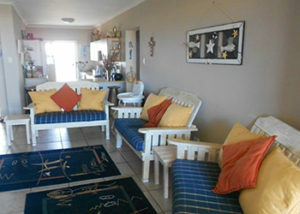 3 is located in Jeffreys Bay and boasts great accommodation, ideally suited for a family or group of friends. The unit is walking distance from the beach and is close to numerous shops, restaurants and activities. The third-floor unit comprises 2 bedrooms and 2 bathrooms. 1 has a shower and the other has a bath. 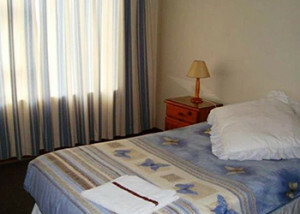 The main bedroom has a double bed and a beautiful sea view. The second bedroom also has a double bed. The kitchen has been fitted with everything guests will need for self-catering. The lounge holds comfortable seating as well as a TV with a DStv connection. Guests are required to bring their own DStv decoder, smart card and remote to make use of these facilities. 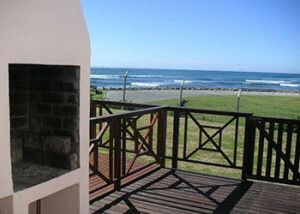 There is an indoor braai area with views of the sea, as well as a dining area. Smoking is prohibited in die unit. There are 15 steps to climb to reach the unit. Guests have access to 1 covered parking for their vehicle. The secure complex also has a communal swimming pool which all guests are welcome to use. 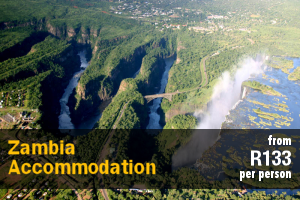 Activities in the area include bird watching, diving, surfing, game watching, golfing, bungee jumping, horse riding and much more. Situated in Aston Bay, Athena offers guests a choice of comfortably furnished rooms. Guests have a choice of 5 individually decorated rooms, and the rooms are furnished with single beds, double beds or queen-size beds. Each of the rooms has a private bathroom with a shower; some of the rooms also have a bath. Each of the rooms is equipped with a TV with Netflix, a bar fridge, as well as tea-and-coffee-making facilities. Breakfast is available on request at an additional cost. The guest house has a few lounge areas, as well as an outdoor lounge, where guests can relax. Parking is available. Please note, the owners live on the premises with their pets. 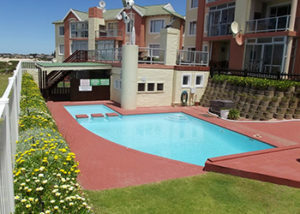 Athena is 1 km from the beach, 4 km from the Jeffrey’s Bay Mall and 5 km from Seaview Centre. 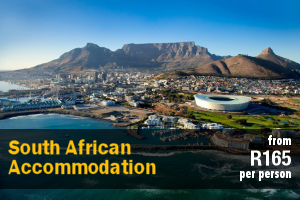 Jeffrey’s Bay offers various activities such as surfing, skydiving, sandboarding, mountain bike trails, as well as attractions ranging from the African Dawn Wildlife Sanctuary, the Dolphin Beach Entertainment Centre, and more. 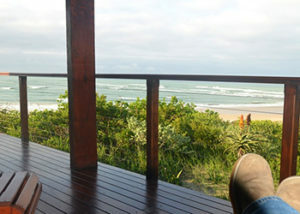 Situated in the Houtboschbaai Nature Reserve, is the lovely wooden cabin Houtboschbaai No 1. Comfortably furnished to sleep 6 people, the chalet has 3 bedrooms and 2 bathrooms, as well as an outdoor shower. 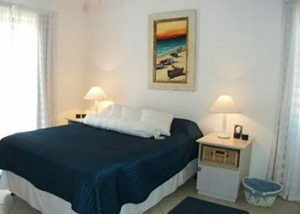 The main bedroom, which overlooks the ocean, is furnished with a double bed, and the other 2 rooms with twin beds. One of the rooms also have a lovely sea view. 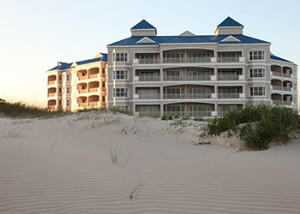 Linen and towels are provided, but guests please need to bring their own beach towels. 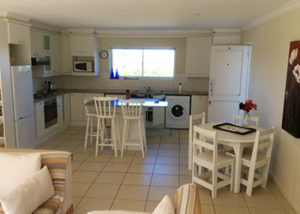 The kitchen is fully equipped with a microwave, an oven, a dishwasher as well as a washing machine and a tumble dryer. The living area opens onto 2 decks and consists of the dining and lounge area. A TV with DStv and a DVD player is available and when the weather turns chilly, the fireplace will keep guests warm. 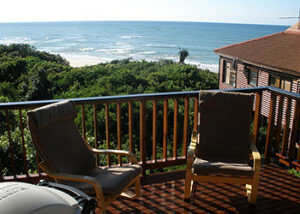 The front deck overlooks the ocean, and a Weber braai is available. Please note it is only for charcoal use due to the risk of fire. The unit is child-friendly, but unfortunately not suitable for wheelchairs. Pets are unfortunately not allowed. Houtboschbaai No 1 is nestled between Milkwood trees, and there are boardwalks in the reserve that wind down to the private beach. Jeffreys Bay offers a variety of attractions such as the African Dawn Wildlife Sanctuary, Jeffreys Bay Shell Museum and various restaurants, and activities ranging from mountain biking trails, tandem skydiving, 4×4 trails. 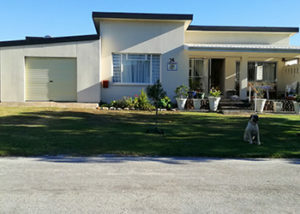 22 Jacana Selfsorg Jeffreysbaai is located in the coastal town of Aston Bay, a mere 4 km from Jeffreys Bay. 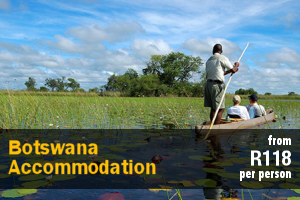 22 Jacana offers 2 self-catering options. The studio apartment has an open-plan layout which comprises a sleeping area and an en-suite bathroom. The sleeping area is furnished with a king-size bed that can be converted into twin beds. The bathroom has a shower, basin and toilet. The lounge area is open-plan and the kitchenette contains a fridge-freezer, a microwave, a gas stove, an oven and crockery and cutlery. The sitting area is equipped with a TV with selected DStv channels. The apartment leads out onto a wooden deck with a table with attached benches. This apartment is semi-detached from the main house. The main house comprises 3 bedrooms which can accommodate up to 6 guests. Each bedroom features its own en-suite fitted with a shower, basin and toilet. The house has a fully equipped kitchen, laundry room and lounge with a TV and DStv channels. Wi-Fi and a braai is also available. Safe parking is available on-site. A cleaning service is available on request. 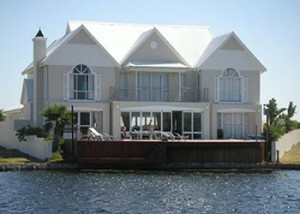 The apartment is a mere 900 m from the sea and lagoon and 4 km from Jeffrey’s Bay Main Beach. 23 Jamaican Palms is situated in a security complex within Marina Martinique between Jeffreys Bay and Aston Bay with a 7 km of seawater canals. Marina Martinique is a quiet sanctuary of up-market houses and cluster-unit apartments offering quality accommodation for an overnight stay or a family holiday. 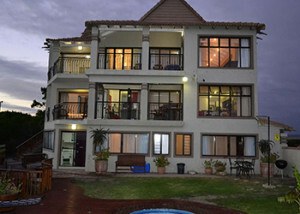 This first-floor unit comprises 3 bedrooms and 2 bathrooms and can accommodate 6 guests. Both bedrooms are furnished with double beds. The open-plan living area comprises a lounge and a kitchen. The kitchen is equipped with fridge-freezer, a stove, oven, and a microwave as well as a washing machine. The downstairs lounge area has a comfortable lounge suite. The loft area also has comfortable seating and a TV with DStv connection. Guests need to bring own decoder and smart card. The living area leads out onto a balcony with a built-in braai and an outdoor dining set. Beautiful views of the open waters of the canals and mountains in the distance are visible from the kitchen, lounge, main bedroom, and loft. The unit has secure private covered parking. The view over the open water of the canals to the distant mountains are stunning and we enjoy beautiful sunsets especially in winter. With pre-arrangement, it is also possible to bring own boat along and moor it close to the apartment. Strict rules and regulations apply and will be supplied on request. Jamaican Palms is a complex of 28 cluster-unit apartments on the canal. Stairs lead up to the first floor and from the open plan lounge to the loft. The water is monitored regularly and complies to all standards. Fish, swim, or row in the canals, walk in the Marina and if you are lucky you might encounter wild buck in the Arthur Fennel Park. Play at the Water Park next to the Marina Wharf Restaurant to your hearts content on weekends and school holidays. 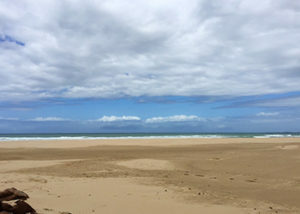 The beach with the popular Walskipper and Tapas Restaurants and the best rock and surf fishing spots are situated within walking distance of the complex. The Marina is 5 km from Jeffreys Bay, South Africa’s world-renowned surfing mecca. The Charlotte Kritzinger Seashell Museum in Jeffrey’s Bay has the largest mussel shell collection in the world, with over 600 different shells from all the oceans. Dolphin Beach is a certified Blue Flag Beach and is ideal for kite surfing. 6 Kingston Place is a self-catering, top floor apartment, located in the secure complex of Marina Martinique in Aston Bay, near Jeffrey’s Bay. The unit consists of 2 bedrooms and 2 bathrooms of which 1 is en-suite with bath and shower. The main bedroom has a double bed. The second bedroom contains 2 single beds. Open plan kitchen, lounge, dining area equipped with microwave, stove, washing machine, dryer, a fridge, kettle, toaster, vacuum cleaner, other cleaning material, an iron, iron board. A stand dryer for washing. The slider windows/doors lead onto an open balcony. Children must be supervised. The lounge has a TV, full DStv provided. 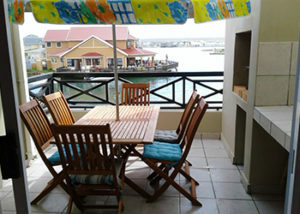 The furnished unit is fully equipped with braai area on the balcony. Four beach towels, bath towels and linen provided. A public dry area is downstairs. The unit, accessible by stairs on the second floor is private with undercover parking. Please note smoking is not allowed in the unit. The owners live nearby to hand over keys and assist guests if need be. 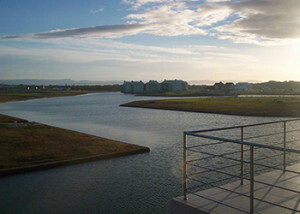 The block faces the channels which are for swimming, rowing and sailing and sundowner cruises. There is an outdoor gym near the wildlife sanctuary. 2 Lovely beaches with 2 restaurants on the beach another restaurant conveniently in the Marina. There are a small shop and bottle store in Aston Bay. The Fountain shopping mall as guests enters Jeffreys on the right. Checkers mall is also nearby. Houtbosch Bay offers self-catering accommodation in luxury log homes, and a honeymoon suite, set right on the beach, in a nature reserve just 5 km from Jeffreys Bay Main Beach. This two-bedroom apartment is fully furnished with beautiful sea views. The apartment consists of one shared full bathroom, an open-plan lounge area as well as a fully equipped kitchen. Watersideliving – Claptons 26 is a two-bedroom duplex unit, situated in Marina Martinique, about 3 kilometres from Jeffrey’s Bay. 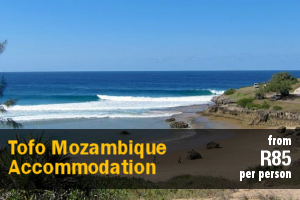 This self-catering apartment with its beautiful sunsets is situated in Jeffreys Bay and overlooks the Marina Martinique, a magnificent showcase of man-made waterways.